This month's edition of Wendy's Favorite Things is featuring a really fun Great Eight collection! There's everything from decadent treats...to healthy snacks...and even a duo of adult beverages perfect for any Summer get-together. (1) Ticket Chocolate Dulce de Leche S'mores Kit. Summer is the perfect time for s'mores! They can be enjoyed during camping trips...or by a fire pit near the pool. Heck, they can even be enjoyed indoors in seconds by using your microwave. 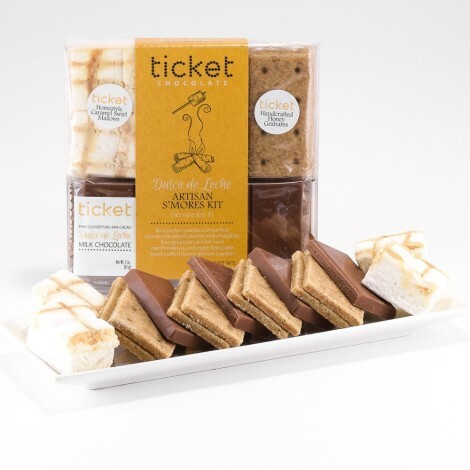 If you're a true s'mores lover like I am, you'll go crazy for this decadent gourmet s'mores kit from California-based chocolatier Ticket Chocolate. Each kit comes with everything you need to make s'mores for four people. I fell in love with Ticket's Peppermint S'mores Kit last Christmas, and now I'm totally hooked on the Dulce de Leche! The kit features homemade caramel swirl marshmallows, artisan baked honey graham crackers, and a salted caramel milk chocolate bar. The end result is gooey marshmallows and creamy chocolate sandwiched between slightly salty graham crackers. To buy this s'mores kit -- or any of Ticket's four flavors of s'mores kits -- simply visit their convenient online store. (2) Edoughble Ready to Eat Cookie Dough. When you bake cookies, does half of the dough make it into your mouth instead of the oven? 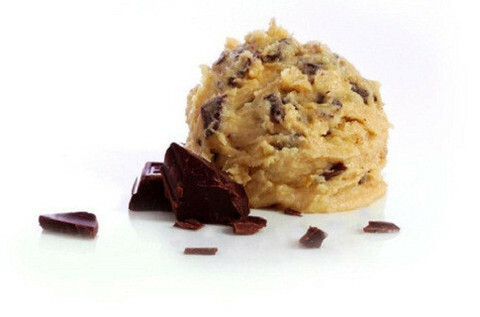 Cookie dough tastes great, but ingesting raw eggs isn't always a good idea. Enter Edoughble's delicious edible cookie dough!! This delicious edible dough is made in small batches, and it's made with the very best ingredients -- and no eggs or preservatives. No matter what kind of cookie you love, they've got a variety you'll love! My personal favorites are the Chocolate Chip Off the Old Block, and the colorful sprinkle-filled Birthday Bash. Edoughble cookie dough is shipped in . To purchase your favorite from their wide range of flavors -- including two vegan varieties -- check out their online store. (3) Wild Garden Hummus Snack Box to Go. I'm always on the lookout for portable, healthy snacks and lunch items I can take to work to enjoy at my desk. 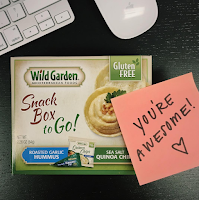 One of the best items I've discovered this year is Wild Garden's convenient Hummus Snack Box to Go. Each kit contains a squeezable pouch of hummus and a range of crispy accompaniments. There are several varieties to choose from, but my personal favorite is the Roasted Garlic Hummus with Sea Salt Quinoa Chips. The portion size is filling, and it tastes great! 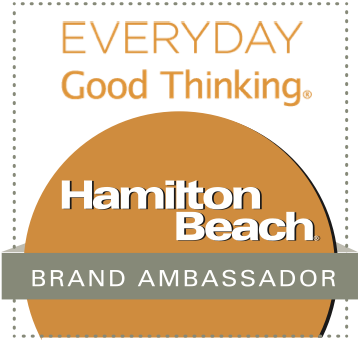 Each snack box averages 200 calories, 8 grams of fat, and 4 grams fiber. I keep a box or two of these snack packs in my office drawer for a mid-morning snack -- and I sometimes add a piece of fruit and yogurt for a light desk lunch. To find these snack boxes near you, check out Wild Garden's online store locator. (4) Brewla Craft Ice Pops. Texas Summers are hot...and long. We're always on the lookout for new and tasty ways to stay cool. I recently tried Brewla's all-natural ice pops, and I really love them! Each frozen pop is made with brewed ingredients, including: tea, coffee, botanicals, fruit juices and purees, and hormone free organic milk. These bars taste great and are enhanced with vitamins, minerals, and antioxidants to boot...win win! Brewla's flavors include Strawberry + Hibiscus Tea and Craft Brewed Root Beer Float. My personal favorite flavor is the Tropical Fruits + White Tea. Each bar contains no added sugar, and it's enhanced with electrolytes to help me stay hydrated! This bar contains just 30 fat-free calories, and it tastes great. 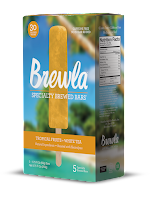 To find Brewla's Craft Ice Pops near you, check out their online store locator. (5) Crunchies Freeze Dried Fruit. 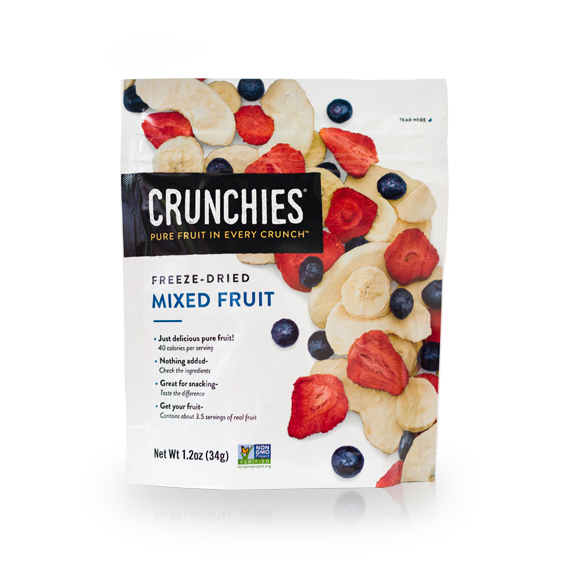 One of my favorite new products to enjoy on-the-go is Crunchies Freeze Dried Fruit. Crunchies is the only freeze-dried fruit company that owns their supply chain from field to packaging. They source their fruit directly from farmers who grow it. This fun product comes in 10 flavors, including cinnamon apple, banana, strawberry, and blueberry...as well as beets and grapes! My personal favorite is the Mixed Fruit, which features all of my favorite fruit flavors in one bag. Naturally sweet and crispy, Crunchies are perfect for munching straight from the bag. However, I also love to add them to my breakfast cereal and use it to top my yogurt. To find this versatile product near you, check out the company's online store locator. You can also purchase Crunchies online at their website. (6) Hail Merry Miracle Tarts. Think vegan, gluten-free, dairy-free, non-GMO baked goods can't taste good? Think again! Texas-based Hail Merry Miracle Tarts taste great -- and they're also vegan, gluten- and dairy-free. 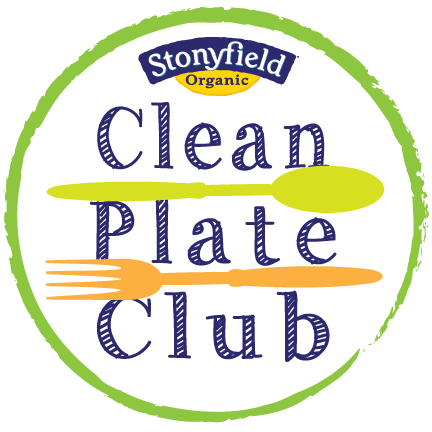 This product features pure ingredients that are consciously sourced and prepared in an innovative manner -- and they meet the needs of people who have special dietary restrictions. Miracle Tarts come in lots of great flavors like Meyer Lemon and Chocolate Almond Butter. My favorite is the paleo-friendly Chocolate Mint flavor. It's made with 70% Fair Trade dark chocolate and organic peppermint oil, and it's sweetened with maple syrup. 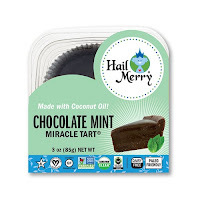 To find Hail Merry Miracle Tarts near you, visit their online store locator. (7) Barefoot Wine Refresh Spritzers. During the hot Summer months, I tend to gravitate toward light and refreshing wines. One of my new favorites is Barefoot Wine's Wine Refresh Spritzers. This fun sparkling wine comes in a four pack of cans, making it very convenient to pack for all your warm-weather events! Both the Crisp White and Summer Red are fizzy, fruity and refreshing...perfect for enjoying at Summer cookouts, pool parties, or afternoons at the beach. Crisp White marries peach, lemon-lime, and crisp apple flavors with Chenin Blanc and Riesling. 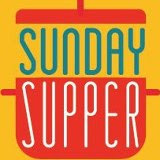 Summer Red pairs raspberry, orange, and berry flavors with Moscato, Zinfandel, and Pinot Noir. These wine spritzers are great with BBQ, guacamole and chips, and fajitas. The best part? No glass bottles to transport...and no need to pack wine glasses! To find Barefoot Refresh Spritzers near you, visit their user-friendly online store locator. 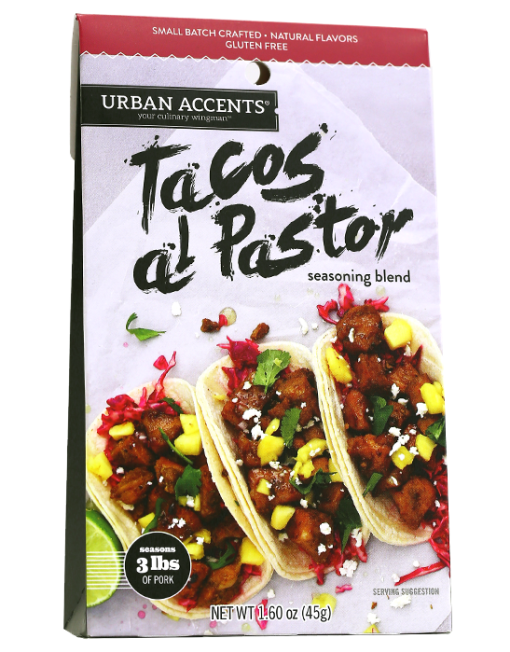 (8) Urban Accents Tacos al Pastor Seasoning Blend. 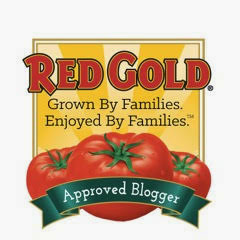 Regular readers of this website know that I love to make big-flavor food...and Urban Accents makes that so easy to do. One of my favorite Urban Accent seasoning blends is their Tacos al Pastor seasoning mix. I simply add cubes of lean pork, pineapple juice, lime juice, and the seasoning packet -- then mix it all up. Then, I put everything in my slow cooker and let it simmer away for 6-8 hours. Urban Accents measures all of the seasoning and spices for me, and the end result is flavorful and fall-apart tender pork! The lightly spiced, tangy meat makes excellent tacos, and it's also great shredded and served over rice. I love it when I get such great results from just 10 minutes of hands-on prep time! This Tacos al Pastor spice mix -- and all Urban Accents products -- can be purchased from their online store. Disclosure: All of the products featured in this roundup provided me with samples of their products to facilitate inclusion. I only recommend products that I have personally tried and like. All opinions expressed are solely my own.